I recently had dealings with Microsoft on behalf of a customer that I can only describe as disgraceful and disappointing. The customer in question was an elderly lady with Parkinson’s disease. She had been the victim of a crypto-virus attack, and I had no alternative other than to format the Hard Drive on her laptop and reinstall Windows. She of course lost all her data, which was distressing enough, but what followed due to the behaviour of Microsoft when we tried to reinstall Microsoft Office Pro, and their unwillingness to help this elderly lady, was in my opinion disgraceful. Nowadays, to install Microsoft Office, you need a Microsoft Account. And any Product Keys that you have purchased are stored there. And if you need to reinstall the Product, you can log into your Account and do so. But what if you can’t remember your password? Well that’s OK, you just click on the link that is offered that reads “Forgot Password“. Simple right? Not so. You then enter the Account Recovery procedure, where you are asked for relevant information like, “what previous passwords have you used”. Well that would be great if you could remember them, but what if you can’t? In this particular case, minimal information was supplied at the time the Microsoft Account was created. So other than a guess at previous passwords that might have been used, a Name, a Date of Birth, and a Recovery Email Address, no other information could be supplied to Microsoft, and they invariably sent an automated email saying that for security reasons, they couldn’t recover the account. It was at this point that I personally phoned Microsoft. I supplied them with the background, I supplied the name and Date of Birth of the lady, I provided Proof of Purchase of Microsoft Office from my supplier including a scan of the actual Product Key, and Proof of Purchase by the End User, ie. the elderly lady with Parkinson’s disease. None of this was sufficient in the eyes of Microsoft. Over the course of three days and around 6 hours on the phone, we reached an impasse and Microsoft informed me that the lady in question would have to purchase Microsoft Office again, even though we had a physical copy of the Product Key and Proof of Purchase. And if you think our Office of Fair Trading would be able to step in and intervene, think again. 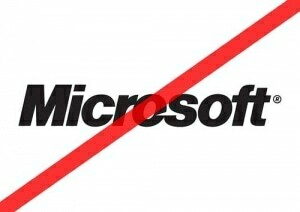 Because after Microsoft refused to help, I turned to them and they just told me there was nothing they could do. The lesson here? Whatever you do, don’t forget your password, and keep a copy of your Microsoft Account password somewhere so you can refer to it if you ever need to reinstall one of their products! !